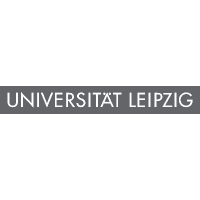 The University of Leipzig (ULEI) was founded in 1409. In the course of its diverse history, it grew to encompass a wide selection of disciplines comprising almost all areas of knowledge, with a special emphasis on the humanities and the natural sciences. World-renowned scientists and scholars have taught or studied in Leipzig and important impulses for the development of thought originated here. As the State University of Saxony, it has contributed significantly to the development of this region. The university offers a wide spectrum of academic disciplines at 14 faculties with more than 150 institutes. It has about 28.000 students enrolled in more than 140 study programs. The traditionally broad range of subjects also constitutes the basis for a strong interdisciplinary research reflected in close co-operations with non-university research institutions. The Department of Microbiology and Bioprocess Technology is part of the Institute of Biochemistry at the Faculty of Biosciences, Pharmacy and Psychology. A key issue of the research activities of the Department is the identification and characterisation of microbial enzymes and the development of enzyme-related technologies geared towards the introduction of novel bio-processes to industry. In the area of polymer bio-technology, the functionalization and degradation of synthetic polymers using biocatalysts has been a focus of research since 2003. Studies on the biocatalytic modification and degradation of polyethylene terephthalate (PET) and other synthetic polymers have resulted in the identification of novel microbial polyester hydrolases. Their suitability for the surface functionalization of PET-fibres in the textile industry has been demonstrated. As leading expert on PET-hydrolases, ULEI will lead WP2 (PET/PU depolymerisation) and is also involved in WP1 (Project management and coordination), WP4 (Product formation and diversification), WP7 (Multi-tiered model-based design) and WP8 (Dissemination and exploitation). 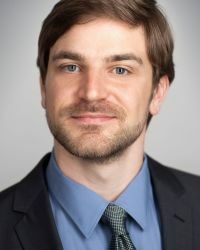 Prof. Zimmermann’s group will contribute its expertise in biocatalytic synthetic polyester degradation, protein engineering of PET-hydrolases, and in the preparation and analysis of enzymatic PET-hydrolysis products. Prof. Dr. Wolfgang Zimmermann received his diploma degree in Biology in 1981 and doctorate in 1984 from the University of Heidelberg (Germany). From 1988 to 1993 he was assistant professor at the Department of Biotechnology, Swiss Federal Institute of Technology in Zurich (Switzerland). 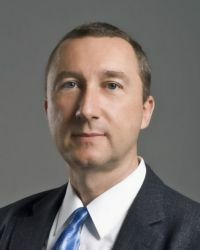 From 1993 to 1999 he was Professor for Biotechnology at Aalborg University (Denmark) and from 1999 to 2004 Professor, Chair of Bioprocess Technology at Chemnitz University of Technology (Germany). Since 2005 he is Professor, Chair of Microbiology and Bioprocess Technology at ULEI. W. Zimmermann has 85 peer-reviewed publications, 11 book chapters, and seven patents. He served as a member of the Scientific Forum of the Danish Technical Research Council and as a member of the management committee in European COST (European Cooperation in Science and Technology) actions. Dr. Ren Wei received his diploma degree in biology in 2007 from the Heidelberg University (Germany) and his Ph.D. degree in 2012 from the ULEI. 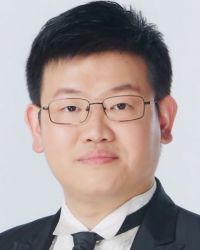 Dr. Wei is members of the group of Prof. Zimmermann with expertise in the identification, characterisation, genetic engineering, and recombinant production of bacterial polyester hydrolases. He is an expert in biochemistry and molecular biology combined with a profound knowledge in the field of bioinformatics and biomathematics. Tobias Schneider, scientist at the ULEI, received his M. Sc. in biochemistry at the MLU in Halle (Saale). His knowledge is focused around protein biochemistry, recombinant production of proteins and downstream processing. He mainly deals with the recombinant production and optimization of enzymes in the context of P4SB. 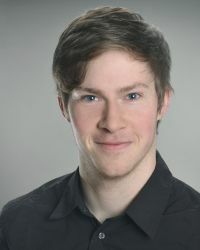 Patrick Hille, PhD Student at Leipzig University, received his M.Sc. in biology from the ULEI in 2015. He has an expertise in metagenomic approaches and will deal with diverse tasks within the WP2. 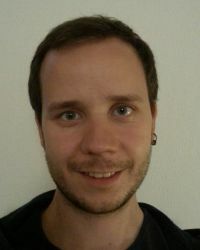 Johannes Then, PhD Student at Leipzig University, received his M. Sc. in biochemistry from the ULEI in 2013. He has an expertise in protein characterization, molecular dynamics simulations and protein engineering. He was an active part of the project until Summer of 2017. 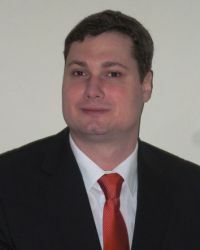 Dr. Thorsten Oeser received his diploma degree in biology from the Ernst-Moritz-Arndt University Greifswald (Germany) in 2007 and his Ph.D. degree in 2011 from the ULEI. From 2011 to 2012 he was project manager in the Junior Research Group Industrial Biotechnology. After that he had a stand-in professorship for Metabolic Biochemistry and Enzymology at ULEI. He works as reviewer for the journals Applied Microbiology and Biotechnology, International Journal of Biological Macromolecules, and Process Biochemistry. Until June 2016 he was a successfull part of the P4SB project.